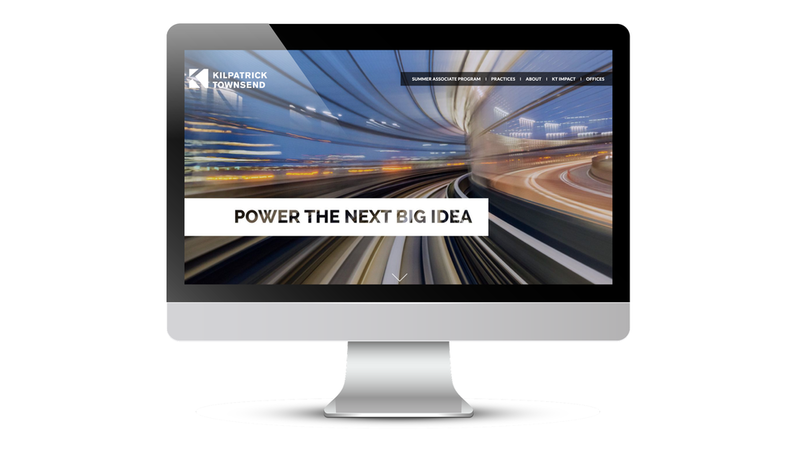 Kilpatrick Townsend (KT) and PLAY work together to attract talent to join the KT team. 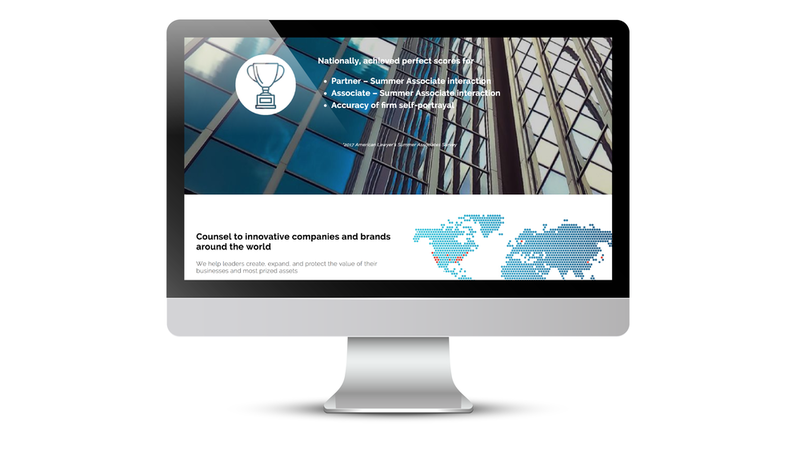 Kilpatrick Townsend has several audiences ranging from those in law school to practicing attorneys with decades of experience. The competition is high, but fortunately for PLAY, KT is known for their forward thinking practice areas and their welcoming culture. 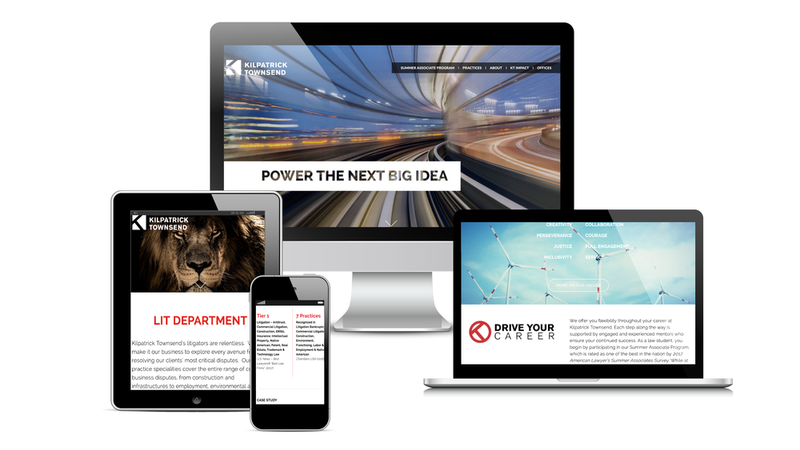 Hence, it is important to showcase Kilpatrick Townsend in this light, a firm that is not afraid to... as Steve Jobs famously said, "think different". With events held around the country and abroad, KT asked PLAY to envision a theme that brings recruiting and social events under one umbrella that sparks the imagination. Wade Hooper, long time friend of Brett Player, is Chief Strategic Growth Officer at KT and has "had a dream to have an Airstream host events". PLAY took this idea to heart and created the theme, "Drive Your Career". 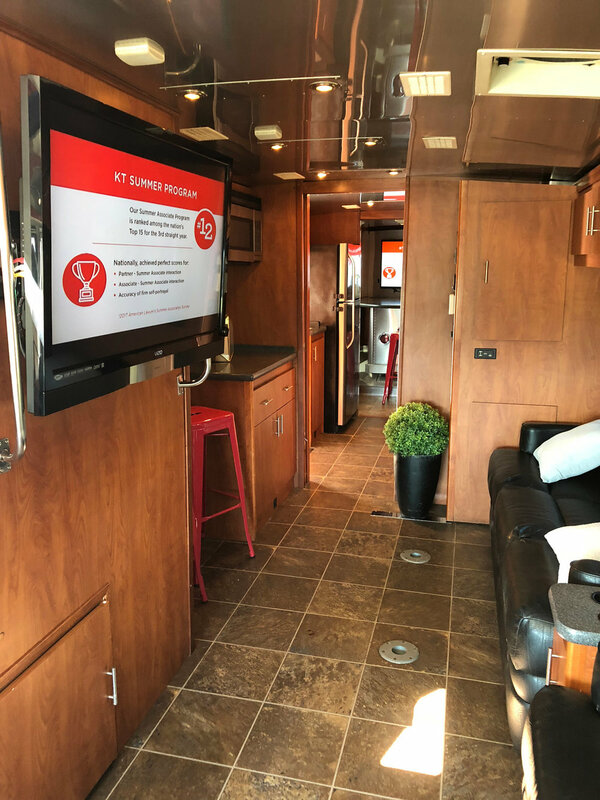 To bring KT Drive Your Career to life, PLAY partnered with HWP to wrap and brand a 40ft Airstream, created the logo, brand, animated presentation, website, event e-vites, re-marketing ad campaign and more. 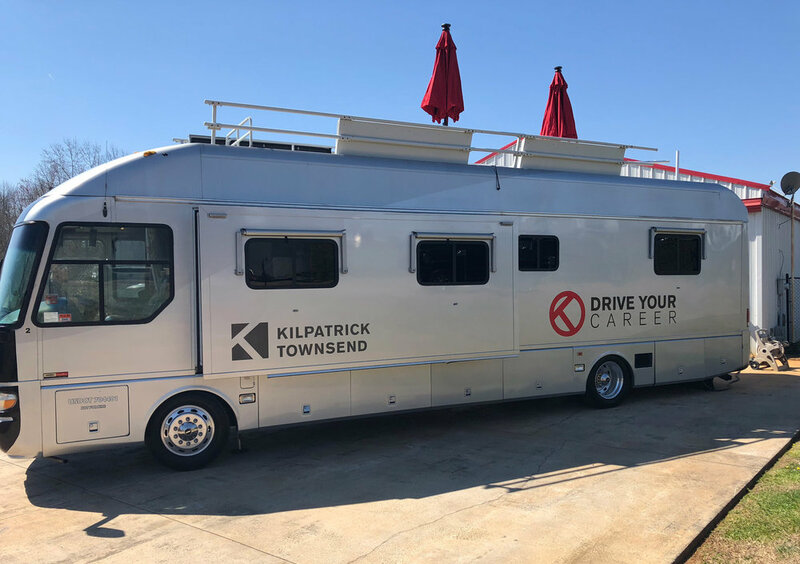 In addition to the KT Drive Your Career, PLAY works with Kilpatrick on several initiatives. Below to the left represents the give away (Starbucks Card) at the events, and to the right is an advertisement in an industry magazine and online platform.